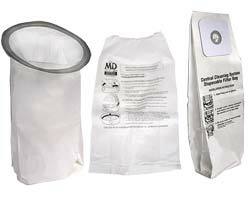 Central Vacuum Bags and Filters for most Central Vacuum Systems. MD Manufacturing has a wide variety of central vacuum bags, cloth filters, foam filters, pleated filters, exhaust filters, retainers, and supports. 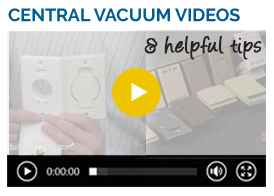 Our top-of-the-line products are built of the strongest materials and are made to last. 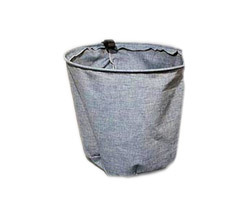 Browse for bags and filters below or by your specific central vacuum brand. All products come with a 2-year warranty, a 30-Day 100% Money Back Satisfaction Guarantee. Extend the life of your vacuum with regular filtration maintenance. Every three months receive a Filtration Email Reminder to help you stay on top of it. Request your reminders today. Disposable central vacuum bags are a fantastic way to keep the exhaust clean and the unit fresh and strong. Replacements are available for top and bottom emptying units with elastic and cardboard styles. Replace the center-weighted cloth filters with a new clean central vacuum filter. 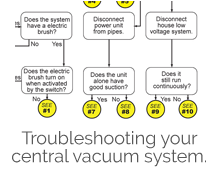 Instructions and cross-reference information by brand are available using the yellow bar above to choose your brand. 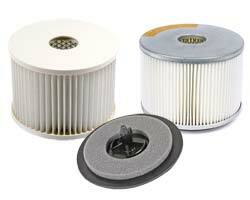 Cartridge filters can be beat out and some can be washed, but they should be replaced about every five years. For a cross-reference use the yellow bar above to find a brand and then click on the Motors & Maintenance link. 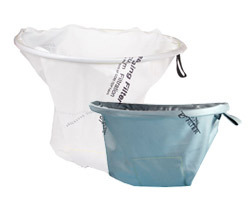 Top emptying central vacuums, ones with a top lid, have a paper bag filter that sits on top of a support cloth system. The outer top rim of the support cloth filter is very ridged. These also act as a backup filter if the paper bag breaks. 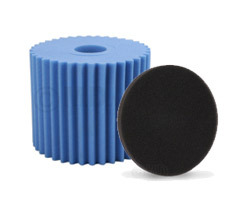 Foam filters are an effective way to filter a central vacuum. Various sizes are available. Some systems use a flat foam or mesh disk as a primary or secondary filter. These filters need to be cleaned and completely dried.